In a familiar moment in the history of ethnographic film, a well-known scene in Robert Flaherty's 1922 classic Nanook of the North, the character identified on the intertitle as "Nanook, Chief of the Ikivimuits" (played by Flaherty's friend and guide, Allakariallak) is shown being amazed by a gramophone.1 He laughs and feels the record three times with his mouth, as if tasting it. We now recognize the scene as a performance rather than documentation of first contact, an image that contradicts Flaherty's journals describing the Inuit's sophisticated response to these new recording technologies, as well as their technical expertise with them by the time the scene was filmed (Rotha 1980). Like the gramophone scene, the film itself obscures the engagement with the cinematic process by Allakariallak and others who worked on the production of Flaherty's film in various ways as technicians, camera operators, film developers, and production consultants (as we might call them today). Not long after the character of Nanook achieved fame in the United States and Europe, Allakariallak died of starvation in the Arctic. Although he never passed on his knowledge of the camera and filmmaking directly to other Inuit, the unacknowledged help he gave Flaherty haunts Inuit producers today as a paradigmatic moment in a history of unequal "looking relations" (Gaines 1988). Their legendary facility with the camera—from imagining and setting up scenes, to helping develop rushes, to fixing the Aggie, as they called the camera—foreshadows their later entanglement with media-making on their own terms. The Nanook case reminds us that the current impact of media's rapidly increasing presence and circulation in people's lives and the globalization of media that it is part of—whether one excoriates or embraces it—are not simply phenomena of the past two decades.2 The sense of its contemporary novelty is in part the product of the deliberate erasure of indigenous ethnographic subjects as actual or potential participants in their own screen representations in the past century. These tensions between the past erasure and the current visibility of indigenous participation in film and video are central to the work of the aboriginal media-makers who are engaged in making what I call screen memories. Here I invert the sense in which Freud used this term to describe how people protect themselves from their traumatic past through layers of obfuscating memory (Freud  1965: 247).3 By contrast, indigenous people are using screen media not to mask but to recuperate their own collective stories and histories—some of them traumatic—that have been erased in the national narratives of the dominant culture and are in danger of being forgotten within local worlds as well. Of course, retelling stories for the media of film, video, and television often requires reshaping them, not only within new aesthetic structures but also in negotiation with the political economy of state-controlled as well as commercial media, as the following case makes clear. In the 1970s, half a century after Nanook was made, the Inuit Tapirisat, a pan-Inuit activist organization, began agitating for a license from the Canadian government to establish their own Arctic satellite television service, the Inuit Broadcast Corporation (IBC), which was eventually licensed in 1981 (Marks 1994). The Tapirisat's actions were a response to the launching over their remote lands of the world's first geostationary satellite to broadcast to northern Canada, Anik B (David 1998). The small-scale encounter with Flaherty's film apparatus was nothing in comparison with CBC television programming's invasion of Inuit lives and homes: the government placed Telsat receiving dishes in nearly every northern community, with no thought to or provision for aboriginal content or local broadcast (Lucas 1987: 15). The Inuit Tapirisat fought this imposition and eventually succeeded in gaining a part of the spectrum for their own use. The creation of the IBC—a production center for Inuit programming of all sorts—became an important development in the lives of contemporary Canadian Arctic people, as well as a model for the repurposing of communications technologies for indigenous people worldwide. Rather than destroying Inuit cultures as some predicted would happen,6 these technologies of representation—beginning with the satellite television transmission to Inuit communities of their own small-scale video productions—have played a dynamic and even revitalizing role for Inuit and other First Nations people, as a self-conscious means of cultural preservation and production and a form of political mobilization. Repurposing satellite signals for teleconferencing also provides long-distance communication across vast Arctic spaces for a range of community needs: everything from staying in touch with children attending regional high schools to the delivery of health care information (Brisebois 1990; Marks 1994). These screen memories of Inuit life are beloved locally and in other Inuit communities. They also have been admired in art and independent film circles in metropolitan centers for their beauty, ethnographic sensibility, humor, intimacy, and innovative improvisational method.8 While reinforcing Inuktitut language and skills for younger members of the community, at a more practical and quotidian level, the project provides interest and employment for people in Igloolik (Berger 1995a, 1995b; Fleming and Hendrick 1991, 1996; Marks 1994). For Inuit participants and viewers, Igloolik Isuma serves as a dynamic effort to resignify cultural memory on their own terms. Their work not only provides a record of a heretofore undocumented legacy at a time when the generation still versed in traditional knowledge is rapidly passing; by also involving young people in the process, the production of these historical dramas requires that they learn Inuktitut and a range of other skills tied to their cultural legacies, thus helping to mitigate a crisis in the social and cultural reproduction of Inuit life. In the words of an Igloolik elder posted on their website: "We strongly believe this film has helped in keeping our traditional way of life alive and to our future generations it will make them see how our ancestors used to live. "9 In December 2000, they premiered Atanarjuat (The Fast Runner), a film based on a traditional Igloolik legend and set in sixteenth-century Igloolik. It was the world's first feature-length dramatic film written, produced, and acted by Inuit. By summer 2001, it had picked up awards all over the world, including the prestigious Camera d'or at the Cannes Film Festival, awarded to the best feature. This effort to turn the tables on the historical trajectory of the power relations embedded in research monographs, photography, and ethnographic practice is intentional, a deeply felt response to the impact of such representational practices on Inuit society and culture. Thus, it is not only that the activity of media-making has helped to revive relations between generations and skills that had nearly been abandoned. The fact of their appearance on television on Inuit terms, inverts the usual hierarchy of values attached to the dominant culture's technology, conferring new prestige to Inuit "culture-making." The embrace of media—film, video, television—as a form of indigenous expression coincided with an increasing sense of empowerment for Aboriginal people that has accelerated since the 1960s. Until the 1996 elections that brought in the conservative government headed by John Howard, Australian social policy under Labour Party leadership had made a commitment to social justice for indigenous Australians, establishing in 1990 an indigenous body, the Aboriginal and Torres Straits Islanders Commission (ATSIC)—a complex and sometimes controversial Aboriginal bureaucracy—to govern the affairs of Aboriginal people.11 In these kinds of formations, media played an increasingly important role in dramatizing Aboriginal claims on the nation. By the 1980s, as part of their demands, both remote living and urban activists increasingly insisted on Aboriginal control over media representations of their lives and communities, which quickly escalated into explicit interest in gaining access to production. At the same time, Aboriginal culture was becoming critical to a distinctive Australian national imaginary linked to its land and oriented away from its European origins. The evident and often conflicting interests of both Aboriginal Australians and the Australian state in media as a site for the production of local identity and sociality as well as claims to a presence in the national imaginary is apparent in the extraordinary development of indigenous media over the past two decades.12 Questions about the impact of mass media on Aboriginal lives first received widespread public attention in the mid-1980s with plans for the launching of Australia's first communications satellite over Central Australia. As in the Inuit case, its launch generated considerable debate among Aboriginal people, policy makers, and academics about the impact of "dumping" mainstream television signals into traditional indigenous communities in this remote desert area (Ginsburg 1991, 1993; Michaels 1986). To preempt the impact of the satellite, the Warlpiri speaking Aboriginal community of Yuendumu, with the help of American adviser and researcher Eric Michaels, developed its own video production and low-power television station, enabling it to make and show its own productions as an alternative to mainstream Australian television received via satellite. The government used that station as a model for some not very effective schemes to bring indigenously governed small media to other Aboriginal outback settlements.13 Through Michaels's writing, other scholars took the example of Warlpiri low-power television as exemplary of the possibilities of alternative TV production, distribution, and reception, though few seem concerned with the considerable changes to both the Warlpiri Media Association and Aboriginal media more generally since the late 1980s. Since its inception in 1983, the Warlpiri Media Association (WMA) has had an unpredictable life according to the presence or absence of certain key players in the community such as Michaels, as well as the variable reliability of white advisers whose crucial impact on these operations—both negative and positive—has been neglected in the analysis of these projects. Frances Jupurrurla Kelly, the Warlpiri man with whom Eric Michaels worked very closely (1994), carried on the work of WMA for a number of years after Michael's death in 1988, but increasingly acquired other responsibilities in his community that made it difficult for him to sustain the same level of activity and interest. It was only in the late 1990s that WMA was reactivated with the presence for a few years of an energetic and entrepreneurial young white adviser and the renewed interest of community members, and especially women, in using video to record their efforts to solve some of their community problems. Most recently, radio has become a focus of community interest. Since the late 1990s, with the growth of the indigenous media sector across Australia, WMA has been involved intermittently with co-productions. In 1997, WMA worked with two other groups—a regional as well as a national indigenous media association—to produce a piece for a new initiative, the National Indigenous Documentary Series14 meant to reflect media being produced in Aboriginal communities throughout Australia and broadcast in late 1997 on the ABC, Australia's prestigious state-sponsored channel. Such efforts are much applauded for supporting cooperation between remote and urban Aboriginal people. However, some attention to the production process reveals some of the tensions inherent in trying to bring remote Aboriginal media, produced at its own pace for members of the Warlpiri community, into the domain of broadcast television's relentless, industrially-driven programming schedules and the imperative to attract mass audiences. In this case, WMA decided to create a piece about the activities of some of the senior women at Yuendumu who had organized what they had called Munga Wardingki Partu (Night Patrol) to control drinking, abuse, and petrol sniffing at Yuendumu.15 For a community used to producing video on its own terms and in its own time frame, outside the industrial logics of dominant television practice, the need to have a work on schedule for the anticipated national air date on the ABC, and that could be understood by diverse television audiences, created considerable tension during the production process. Indeed, between the time the proposal was submitted to the ATSIC bureaucracy and when the project was approved and funded, the Night Patrol had become relatively inactive (in part because of its success), although it managed to reconstitute itself for the documentary. Still, WMA was having difficulty meeting the broadcast deadlines. In the Australian mediascape, Aboriginal participation and visibility have developed not only on video in remote areas but also on national television; most recently, they are a presence in Australia's lively independent film culture, the products of which are among the nation's most visible exports. The concern to be included in that dimension of Australia's culture industries is not simply about equal access to the professional opportunities; it also reflects a recognition that distortion and/or invisibility of Aboriginal realities for the wider Australian public and even international audiences can have potentially powerful effects on political culture. Aboriginal activists from urban areas were particularly vocal in demanding a positive and creative presence on state-run national television such as Australia's ABC and its alternative multicultural channel, the Special Broadcast Service (SBS). The indigenous units that were established out of that moment became an important base for a small and talented group of young urban Aboriginal cultural activists—many of them children of the leaders of the Aboriginal civil rights movement—to forge a cohort and gain the professional experience that is placing them and their work onto national and international stages. The twenty or so urban Aboriginal people who have entered into filmmaking recognize the potential of their work to change how Aboriginal realities are understood for the wider Australian public and even international audiences. As a case in point, I want to briefly track the career of Rachel Perkins. The daughter of the late Charles Perkins, a well-known Aboriginal activist/politician and former sports hero, she exemplifies those most active in the indigenous media scene today, a generation of cultural activists who came of age when the struggle for Aboriginal civil rights was already a social fact, due in large measure to the efforts of their parents. She grew up with new political possibilities in place but a recognition that the world of representations and the cultural spaces available for them were not so easily changed. For example, when she was born in 1970, just after citizenship was granted to Aboriginal Australians in 1967, blacks and whites were still segregated in cinemas in some parts of Australia. In 1988, at the age of 18, hoping to gain some skills in media and make some contact with Arrernte people, from which her family was descended, Rachel began her training at a regional Aboriginal media association that serves both remote communities and the small towns and cities that dot Australia's Northern Territory.18 Once there, she worked her way up to produce and direct language and current affairs programs. In 1991, Rachel went to Sydney to head the indigenous unit of the SBS, Australia's state-run multicultural television station.19 While there, she commissioned and produced Blood Brothers (1992), a series of four one-hour documentaries about different aspects of Aboriginal history and culture told through the personal lives of four prominent Aboriginal men. Her agenda was, in a sense, to create "screen memories" for the majority of Australians—black and white—who knew virtually nothing of the role of Aboriginal people in the formation of modern Australia. The first was about her father, Charles Perkins, a national soccer champion who then became the first Aboriginal student at Sydney University. In 1965 he worked with other student activists to organize "freedom rides" to challenge the racist conditions in which rural Aboriginal people lived at that time. The documentary retraces the history of this initial stage of the Aboriginal civil rights movement through retrospective accounts by Perkins and his fellow protesters, both black and white, as they revisit the places where they had carried out civil disobedience more than twenty-five years earlier. I scripted to include the massacres which happened in the area in the early 1800s right up to 1985 where a guy was gunned down in the street. But the script editor was just saying, "Look, you're not making an epic film here, . . . you've got to concentrate on the guts of the story which is the freedom ride." So all of those sort of really bloody relations couldn't be part of the film. . . . I wanted to make it entertaining and personal and humorous so that people would watch it, you know, and become more involved in it. There was a lot of violence that happened within that period though that I didn't show, and that's also because people didn't necessarily want to talk about it. . . . But you don't have to measure racial inequality by the amount of people that are killed. In Australia it's more of a psychological warfare with people, growing up under that regime, that was the thrust of what I was trying to get across. In reaching out to a mixed but still predominantly non-Aboriginal national audience, Freedom Ride spoke directly and deliberately to their relationship to the struggle for Aboriginal civil rights, serving as a reminder of the possibility of white activism on behalf of that cause nearly thirty years earlier, at a contemporary moment when political separatism too often serves as an excuse for apathy. Using a mixture of archival footage, recreations of historical scenes, oral histories, and contemporary verité footage, the documentary is powerful testimony to how political consciousness was created in everyday experiences of discrimination and transformed through direct action, much of it inspired by knowledge of the American civil rights movement gained in part through the mass media. In a particularly poignant moment that also reveals the key role of such mediations in creating transnational links among activists, Charles Perkins recollects a solidarity visit from an African American delegation and how unexpectedly moved the Australians were when the visitors sang "We Shall Overcome," which they had heard many times on records, radio, and television. This example of the role that such media played historically in creating contact between social movements in different parts of the world point to a broader frame: the documentary itself is embedded in a context of social action in which its presence on national television is yet another level of assertion and insertion of a rarely visible Aboriginal presence and perspective on Australian history. We don't see making only Aboriginal stuff as being ghettoized; we see it as leading to a really dynamic area of the industry which is black film-making. . . . There's a huge perception that Aboriginal stuff is only interesting to Aboriginal people, and that it's boring. Yet Blood Brothers was one of the highest rating doco [documentary] series that has ever been on SBS. Until Once Were Warriors [the 1994 feature film made by Maori director Lee Tamahori], all I'd heard was that indigenous films will never get an audience, people aren't interested in indigenous characters, that audiences are racist. In 1993, frustrated by a lack of funds and compromises she had to make, Rachel left the SBS.20 Eventually she formed her own production company, Blackfella Films, in order to complete her first feature film, Radiance (1997). Adapted from a work by Euro-Australian playwright Louis Nowra, the story unfolds as unspoken complex secrets are revealed about the relationships among three Aboriginal sisters who reunite after the death of their mother, each of whom embodies a different relationship to her cultural identity. The film was a major success in Australia, and in the summer of 1997 it was screened at the Cannes Film Festival in France. Rachel Perkins's work as filmmaker, producer, and activist is exemplary of a young Aboriginal cultural elite engaged in constituting a vital Aboriginal modernity through a variety of media, including music, visual arts, film, and drama. These forms provide vehicles for new narrations of the place of Aboriginality in the nation—Freedom Ride, Night Patrol, and Radiance are but three examples—that are not tied to traditional practices. This work has helped to establish and enlarge a counterpublic sphere in which Aboriginality is central and emergent, especially in the changed circumstances signified by the 1993 Australian High Court decision granting native title to Australia's indigenous people—that is, recognizing their prior ownership of so-called Crown Land. It stemmed from the landmark Murray (Mer) Island Land Case (1992), commonly known as the Mabo land rights case after one of the plaintiffs, the late Eddie Mabo, a Torres Straits Islander man. In an article written in 1994, in the post-Mabo euphoria, cultural critic Stephen Muecke argued that these transformations would mobilize "new ways of positioning Aboriginal history identity and culture . . . in which Aboriginal Australians occupy a very different and very crucial site from which new post-national subjectivities can be constituted, in which new stories enable new 'structures of feeling' and of agency that in turn translate into a new politics of nation" (1994: 254). His optimistic claims clearly were written before the 1996 elections of the politically conservative government of John Howard. Nonetheless, in the indigenous media sector, these concerns—to broaden the representation of national narratives to include Aboriginal lifeworlds past and present—are still the issues engaging the cohort of media-makers of which Rachel Perkins is a part. The notion of nationhood that helped establish Aboriginal media's emergence in the 1980s embraced Australia's own regional and cultural diversity, underscoring a sense of national identity that is decentered, flexible, and inclusive of indigenous cultures. The work has continued under the Howard regime that has mobilized right-wing and racist backlash among some white Australians against what they see as undue cultural and political gains by Aboriginal people and other claims to multiculturalism as a legitimate frame for the Australian nation. Thus, at the beginning of the twenty-first century, Aboriginal media-makers are engaged in a broader war of position over the question of Australian national identity in which the visibility of Aboriginal lives and histories play a key role. Central to that process are efforts to reverse and resignify the history of colonial looking relations in which film and photography became the visible evidence of an indigenous world that was expected to disappear but instead persists. Part of the evidence for rights to land on Mer Island (north of Australia) was some of the first footage ever made of indigenous people: English anthropologist Alfred Court Haddon's film documenting Mer (Murray) islanders performing dances in 1898 that are still in use today, proving continuity of tradition. There is some irony in this resignification, since Haddon, in the tradition of his day, was interested in capturing images of these people before they disappeared from the face of the earth (Holgate 1994). Instead, the Haddon footage provided the visible evidence—the screen memories—that proved the opposite: that they are still very much alive and continue to occupy the land that has been part of their cultural legacy. The use of this ethnographic footage for the purpose of a land claim reversed its status as a late nineteenth-century sign of the imagined extinction of Aboriginal culture. It turned the footage instead into an index of their cultural persistence and a basis for indigenous claims to their land and cultural rights in the present. This reversal stands, metaphorically, for the ways in which indigenous people have been using the inscription of their screen memories in media to "talk back" to structures of power and state that have denied their rights, subjectivity, and citizenship for over two hundred years. Film, video, and television—as technologies of objectification as well as reflection—contain within them a double set of possibilities. They can be seductive conduits for imposing the values and language of the dominant culture on minoritized people, what some indigenous activists have called a potential cultural "neutron bomb," the kind that kills people and leaves inanimate structures intact (Kuptana, cited in David 1998: 36). These technologies—unlike most others—also offer possibilities for "talking back" to and through the categories that have been created to contain indigenous people. It is not the technologies themselves, of course, that produce the latter possibility, but the timing and social location of their arrival. Despite his facility with the camera, Allakariallak's participation in Flaherty's film was not acknowledged; nor were the structures in place that would have enabled him to really make use of "the Aggie." For Inuit fifty years later, politically mobilized and subject to the regimes of the state in their lives, access to a satellite has been crucial, linking communities across the Arctic (and Canada) in ways that are culturally and politically powerful. Similarly, after a long history as objects of photographic representation, media were first embraced by Aboriginal people at a particular historical conjuncture in Australia. In the 1980s, progressive state policy, indigenous activists, an independent and alternative film culture, and remote and urban Aboriginal people all became interested—sometimes for different reasons—in how these media could be indigenized formally and substantively to give objective form to efforts for the expression of cultural identity, the preservation of language and ritual, and the telling of indigenous histories. Socially, they are creating new arenas for meaningful cultural production for people living in both remote and urban-based communities. In cosmopolitan centers like Sydney, groups such as the Indigenous Programmes Unit at the ABC serve as a critical node in a mixed-race network of filmmakers, musicians, activists, artists, and writers who make up an elite stratum of Australia's equivalent of a post-civil rights generation. And increasingly, new bureaucratic structures of state-mediated Aboriginal modernity are emerging, such as the National Indigenous Media Association of Australia and the Indigenous Branch of the Australian Film Commission. In 1997 the Indigenous Branch launched a new initiative to train Aboriginal people in drama and feature-film production, marking a significant shift from the usual consignment of indigenous media to either the extreme localism of outback television that marked its emergence in the mid 1980s or the genre-defined limits of documentary that shaped its presence on national television after 1988. Tracking these emergent media practices, one can see how they have developed in relation to Aboriginal concerns and national policies. In the 1980s the experimental efforts of people in remote communities to document their lives, cultures, and histories were spurred by an initial protectionist desire to block the penetration of Western television while also working out the formal, social, and cultural protocols for indigenizing media—what media scholar and activist Eric Michaels called The Aboriginal Invention of Television in Central Australia (1986). By the late 1980s, spurred by the moment of national redefinition constituted around Australia's Bicentenary, Aboriginal interest in media expanded to the urban sector and the creation of an indigenous presence on state television. In that context, producers focused initially on the presentation to national audiences—indigenous and otherwise—of what they called positive imagery of their lives and of Australian history from an Aboriginal point of view. This was intended to counter both the absence and the unremitting negativity of their representation in the media more generally, from the celebratory history of Freedom Ride to the efforts to combat problems such as alcoholism and violence against women through local forms of self-determination exemplified in Night Patrol. By the mid 1990s, when a new cohort started to leave the confines of documentary and work in dramatic genres, they found yet another mode of expressive possibility. These more recent fictional works offer self-conscious, alternative, and multiple accountings of Aboriginal lifeworlds, as in the complex gendered, cultural landscape given almost surreal shape in feature films such as Rachel Perkins's Radiance. They are testimony to the range of experience and practice contained within the category "indigenous"; their vitality speaks to the importance of the recuperation of "screen memories" for contemporary generations of Aboriginal Australians. Positioned somewhere between the phenomenological lifeworlds of their everyday lives and the colonial categories through which they have been constituted, the making of these media is part of a broader set of practices through which First Nations people in Australia and Canada are reflecting on and transforming the conditions of their lives. An early version of this essay was given as the 1998 Daryl Forde Lecture, Anthropology Department, University College, London. Thanks to Danny Miller, Howard Morphy, and Anna Grimshaw for their comments at that event; to Lila Abu-Lughod, Brian Larkin, Fred Myers, Barbara Abrash, and Jay Ruby for their helpful readings of later versions; and to the many people engaged in indigenous media in Australia and Canada who generously shared their time and insights with me while I was there, including: Brian Arley, Philip Batty, Norman Cohn, Brenda Croft, Graham Dash, Jennifer Deger, Francoise Dussart, Pat Fiske, Melinda Hinkson, David Jowsey, Tom Kantor, Frances Jupurrurla Kelley, Sak Kunuk, Brett Leavy, Marcia Langton, Mary Laughren, Michael Leigh, Rachel Perkins, Frances Peters, Catriona McKenzie, Michael Meadows, Helen Molnar, Nicki McCoy, Michael Riley, Sally Riley, Lorna Roth, Walter Saunders, and many others. Support for travel for my research was provided in part by Guggenheim and MacArthur Fellowships. 1Nanook is discussed in nearly every book written on documentary, as well as in much of the revisionist scholarship on the genre. For other discussions of the gramophone scene, see Rony 1996; Ruby 2001; Taussig 1994. 2In the case of Nanook, for example, in terms of the broader political economy, the film bears traces of the end of the global fur trade that fueled much of the settlement of North America. Nanook was sponsored by Revillon Frères, the French fur company that owned the trading post in the film, and was completed in 1922 at a historical moment when the fur of Arctic foxes, which Nanook hunts in the film and brings to the post, graced many a Parisian shoulder. These global trading processes underwrote and set the stage for the initial engagement of Allakariallak and others with the technologies of cinematic objectification (Rotha 1980). 3Through processes of displacement and condensation, Freud writes: "What is important is replaced in memory by something else which appears unimportant" ( 1965: 248). For a fuller discussion of his concept of screen memory, see chap. 5 in The Psychopathology of Everyday Life. 4A 1986 report by the Federal Task Force on Broadcasting Policy, in its support of aboriginal broadcasting as an integral part of the Canadian broadcasting system, called for a separate satellite distribution system to carry aboriginal language programming (David 1998). 5The APTN is a unique TV experiment in many ways. The Canadian government has ordered cable systems to carry it as part of their basic package, a mandate that has met with some opposition from the Canadian Cable Television Association. As one media critic put it, "In some ways it's a guilt tax" (Allemang, quoted in Regan 2000), though others have been more enthusiastic. For further information, see the APTN website at www.aptn.ca. 6Jerry Mander (1991), for example, argues that video and television technologies are irredeemably destructive to native life. His argument, as Laura Marks pointed out in her overview of Inuit media, "equates tradition with rigidity, rather than understand adaptability itself as a longstanding value" (1994: 6) and also fails to account for what kind of media are actually being made. A more recent example is anthropologist James Weiner's 1997 polemic, "Televisualist Anthropology," directed against indigenous media (which he calls "ersatz culture") and those who study it, including myself. We argue that far from being subsumed by contact with mass cultural forms, as these critics have argued, indigenous media-makers have taken on Western media technologies to defend themselves against what they see as the culturally destructive effects of mass media, producing work about their own lives, a strategy some have called "innovative traditionalism." A more poetic phrasing, "Starting Fire with Gunpowder," used for the title of a film about the IBC (Poisey and Hansen 1991), captures the sense of turning a potentially destructive Western form into something useful to the lives of indigenous people. 7Their works are produced in the Inuktitut language and syllabics (for titling) and are subtitled in English and French. For those interested in finding out more about the work of this extraordinary group, I recommend their website, www.isuma.ca. 8Produced with the support of the Canada Council, the National Film Board, and the government of the Northwest Territories, the work of Igloolik Isuma has been seen on TVNC and in screenings at many institutions, including the National Gallery of Canada, the Museum of Modern Art in New York, the American Film Institute, the Museé d'Art Moderne in Paris, and the Museum of Northern Peoples in Hokkaido, Japan. Reviews in mainstream papers have been appreciative to laudatory. 9See comments by T. Nasook at www.isuma.ca. 10Elsewhere, I situate the work within more global developments, from the marketing of satellites and small media technologies, to the growth of transnational political networks supporting the rights of indigenous peoples. 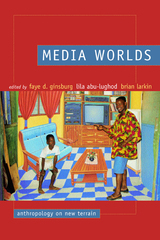 In addition, more specialized cultural arenas such as international indigenous film festivals have become important sites for constituting linkages among indigenous media-makers worldwide (Ginsburg 1993). 11These state policies and bureaucracies must be understood in part as an outgrowth of modern movements for Aboriginal rights. The expansion of indigenous political and cultural activism—inspired in part by the civil rights and Black Power movements in the United States—helped to catalyze constitutional changes that granted Aboriginal Australian voting rights in 1962 and Australian citizenship in 1967 and set the stage for the developing recognition of Aboriginal claims for land rights and cultural autonomy beginning in the 1970s. 12 In 1980 only a few radio shows existed. In a 1994 survey of indigenous involvement in media (not including the growth in radio), remote communities had 150 local media associations, eighty small-scale television stations, and two satellite television services with indigenous programming (Molnar 1995: 170). By 1993 a representative body, the National Indigenous Media Association of Australia (NIMAA), had been formed to advocate for and help link the hundreds of indigenous broadcasters working in radio, video, and television throughout Australia. In addition, the creation of Indigenous Program Units at the state-sponsored television stations, the Australian Broadcasting Corporation (ABC), and the Special Broadcast Service (SBS) in 1989 helped create a base for a strong urban cohort of media-makers that came into their own a decade later. 13For scholars alarmed by the "wasteland" of TV, the Yuendumu experiment acquired the aura of a plucky outback David whose tiny satellite dishes and culturally distinctive video productions served as a kind of well-targeted epistemological slingshot against globalizing satellites and mass media programming (see, e.g., Hebdige 1994). This valorization of circumstances in which indigenous people are represented as existing comfortably with both their own traditions and Western technologies is embodied in state policy, a particular embrace of Aboriginal modernity that elsewhere I have called hi-tech primitivism (Ginsburg 1993: 562). 14WMA has worked with the regional group CAAMA (the Central Australian Aboriginal Media Association) based in Alice Springs, as well as the national indigenous advocacy organization, NIMAA (National Indigenous Media Association of Australia), which sponsored the series with support from the Aboriginal bureaucracy ATSIC, as well as the ABC and the Olympic Arts Festival. 15The video project about the night patrol was directed by a Warlpiri woman, Valerie Martin, who worked with the help of WMA's white adviser, the late Tom Kantor. 16Some of this was going on while I was in central Australia in 1997. I am also grateful to Pat Fiske and Tom Kantor for providing me with their views of the situation. 17For example, it was one of two works from the series selected for the Margaret Mead Film Festival in New York City and was warmly received at the screenings I attended there. 18The station she trained at was the Central Australian Aboriginal Media Association (CAAMA) in Alice Springs. For an account of the formation of this station, see Ginsburg 1991. Rachel's knowledge of work from remote communities and regional media associations was influential in bringing that work into urban Aboriginal settings; she has continued to play a key role in programming work from both remote and urban Aboriginal communities on national television. 19With a small budget and few resources, she created work at SBS but also brought in material from regional and local Aboriginal media associations through her links to CAAMA and more remote groups in its orbit, such as the Warlpiri Media Association (WMA) at Yuendumu. 20The next year she was recruited to head up the Indigenous Programmes Unit at the ABC where, in addition to continuing their Aboriginal cultural affairs show, Blackout, she produced a series on Aboriginal music, Songlines, and negotiated the agreement with NIMAA to act as executive producer for the eight works for the National Indigenous Documentary Series—Night Patrol was one—made in 1997 and screened on the ABC later that year. During that period, Rachel took a temporary leave from the ABC in order to complete Radiance with her partner, Euro-Australian filmmaker Ned Lander. Faye D. Ginsburg is David B. Kriser Professor of Anthropology and Director of the Center for Media, Culture and History at New York University. She is author of the award-winning Contested Lives: The Abortion Debate in an American Community (California, second edition 1998) and coeditor of Conceiving the New World Order: The Global Politics of Reproduction (California, 1995), among other books. Lila Abu-Lughod is Professor of Anthropology and Women's Studies at Columbia University and author of the award-winning books Writing Women's Worlds: Bedouin Stories (California, 1993) and Veiled Sentiments: Honor and Poetry in a Bedouin Society (California, 1986, 2000), among others. Brian Larkin is Assistant Professor of Anthropology at Barnard College, Columbia University. 5. Egyptian Melodrama—Technology of the Modern Subject?